Part of NCECA’s 51st Annual Conference : Future Flux. This exhibition gathers contemporary makers focussed on design methodology within ceramics that emphasizes material characteristics of clay in its various capacities (fluid, static, fissured, etc) as primary concerns. The exhibition seeks to draw parallels between young and more experienced artists, at various stages in practice, to discover and highlight current trends and techniques as we move forward into NCECA’s next fifty year Artists have been chosen according to suitable aesthetic groupings to fit exhibition methodology, but also with intent to showcase makers working in this style for long and short periods of time. The age/career range of participants stretches from a current graduate student to a full professor and department head at a major university. 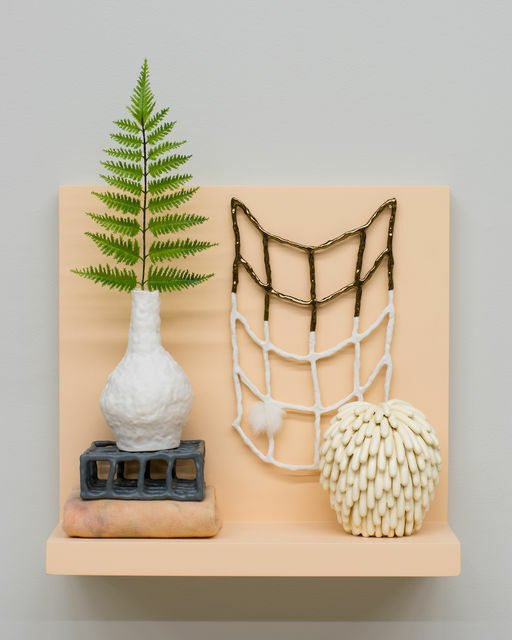 The exhibition presents a case for abstraction via materiality as a major current in contemporary Ceramic practice at all levels as we move into the future of our discipline. As journey’s end for Lewis and Clark in the early 19th century, expedition and discovery have framed our imagination of the Pacific Northwest. As we pass beyond NCECA’s first fifty years, the interconnection of mind, materials, and transformation at the heart of ceramic process, art and education can serve as trail heads to our future. Our creative work in the 21st century increasingly engages with hybrid practices, issues of diversity, notions of community and dynamic change. How will more sustainable models of ceramic art and education continue to evolve? What are the essential competencies and capacities for ceramic artists and educators today and for the future? How can we continue to draw from rich historic traditions while reinvigorating their relevance in rapidly changing global societies? Portland, Oregon, a city of rivers, makers, and entrepreneurs is an ideal vantage point from which to investigate these questions and others. Join us at Future Flux and help transport us to the ways that ceramic art and education will continue to matter.